We did a couple of quick walks around DeKorte on Friday to see what the inclement weather had brought in — and the answer was not much. 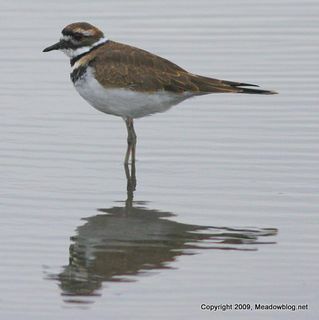 We had four Killdeer (pictured) along the Marsh Discovery Trail, along with a lot of yellowlegs hunkered down on the leeward side of the phrags. Water levels are still low, but not nearly as low as they have been. We still have several egrets, but nothing in comparison to the hundreds we had two weeks ago. Also seen: Green-winged Teal, lots of Yellow-rumps, peeps, two Great Blue Herons and a juvenile Yellow-crowned Night Heron tucked away in the reeds toward the back of the Shorebird Pool. 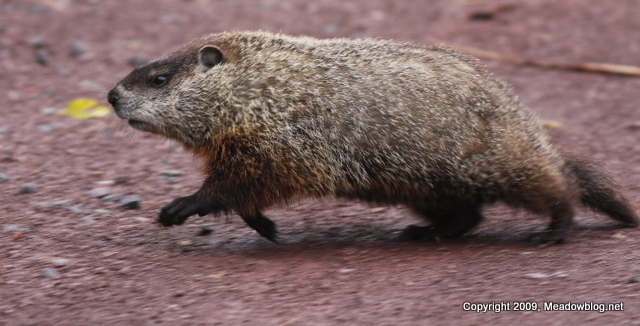 Plus a Groundhog and a Muskrat. 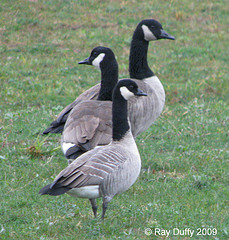 Ray Duffy reports a Cackling Goose among Canada Geese and Brants behind the Xchange in Secaucus. 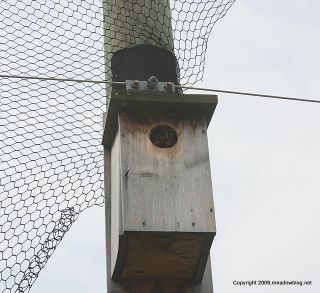 When we put up American Kestrel boxes at the Erie Landfill, we didn't expect so many tenants, and of the "wrong" species. 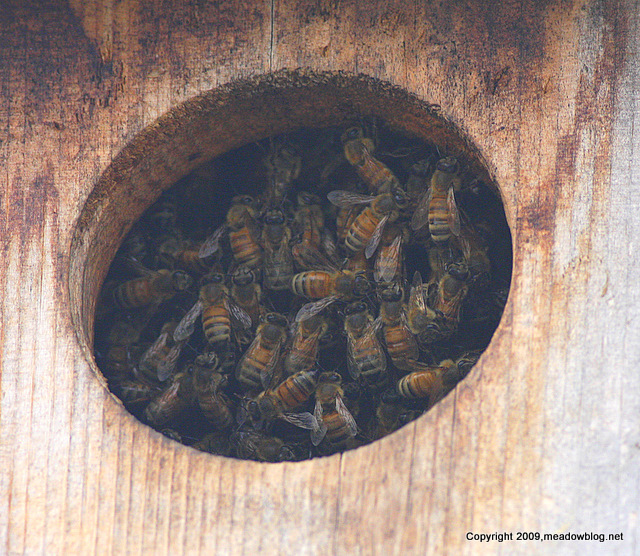 We now have a healthy hive of Honey Bees filling the box. We brought in a local beekeeper, who says that the bees should make it through the winter, and that he can transport them to a conventional hive in the spring. Since Honey Bees have been under stress of late — colony collapse disorder has killed these bees by the millions in the past few years — we were glad that we have a happy healthy hive in North Arlington.